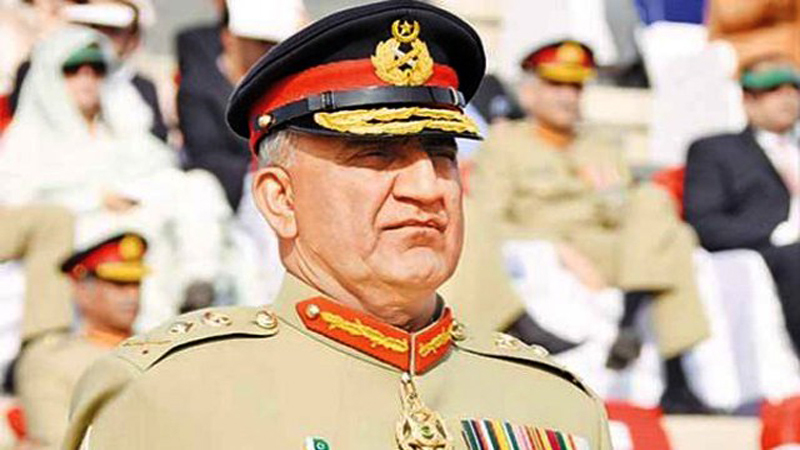 ISLAMABAD: Chief of Army Staff (COAS) Gen Qamar Javed Bajwa Thursday said that all stakeholders would have to play their role in establishing peace in the region. The army chief made these remarks while addressing the participants of the National Security and War Course at the National Defence University, according to Inter-Services Public Relations (ISPR). The COAS’ address focused on internal and external challenges facing Pakistan. He said that Pakistan was fully committed to peace and stability. About regional peace and development, the COAS said that all stake holders should get out of conflict paradigm as only cooperative framework could unlock the true potential of the region. “For this Pakistan has done its part in tackling the security challenges which seemed insurmountable a few years ago,” he said. Referring to internal challenges, Gen Bajwa said, “We have to strive for a Pakistan where rule of law is supreme and where we have the same attitude towards duties as we have towards rights. The COAS reiterated that a coordinated and committed national approach could be an effective response to all challenges. “Pakistan belongs to all Pakistanis regardless of beliefs or opinions,” he remarked. Talking about hybrid war, the army chief said it was the national will which is targeted in such a war. “For effective counter and response to hybrid war there is a need that issues having impact on our national security, economy, education, water security and national integration must take precedence through relevant national institutions. Published in Daily Times, June 15th 2018.